We are Nigerians is a new and exciting textbook series that teaches students about their rights and duties as Nigerian citizens. It draws on examples from studentsâ€™ everyday experiences, and relates these to themes and issues in Nigerian civic life. It also provides an introduction to modern Nigerian history. 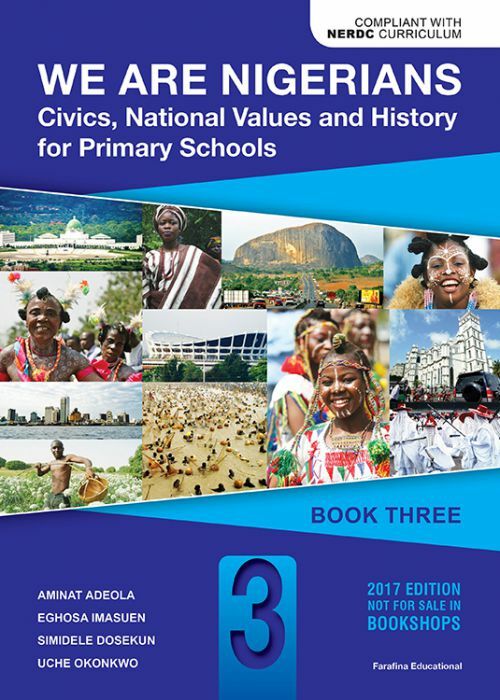 The textbook series follows the civic education curriculum prescribed by the Nigerian Educational Research and Development Council. It has clear text and illustrations, and includes special features such as newspaper clippings of civic issues, 'discuss and debate' exercises, and practical 'how-to' lessons. All these are designed to make students think critically and practically about what it means to be a Nigerian citizen today. We are Nigerians is motivated by democratic and patriotic ideals. It aims to inspire young Nigerian students to commit to building a better Nigeria.